The technique I used is coloring with Alcohol Markers.. I used the newscaster digi because I did not get the snail rake digi. I missed the last challenge deadline. 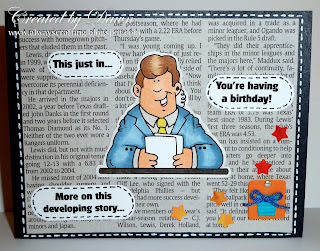 I incorporated the last challenge using newspaper and this challenge which is a SCS technique. Wow your coloring is amazing! Fantastic job! Thanks for playing along at the Hoedown! 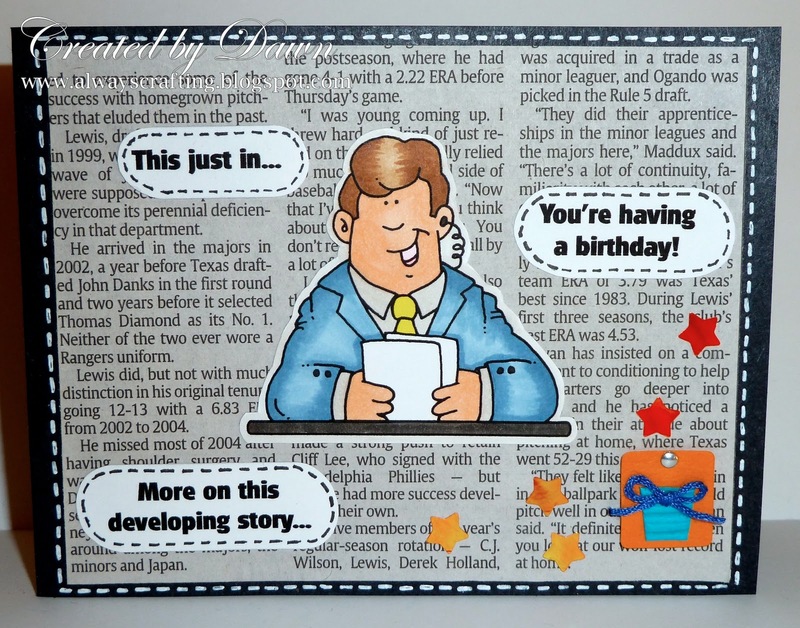 Super job on this card, Dawn! I like the little present and stars in the corner~ Thanks for playing along with us at the Hoedown this week~!